Please see below for details of which pharmacies will be open, and their operating hours, across the NHS Buckinghamshire CCG area during the 2019 Easter Bank Holiday weekend (19-22 April). You can also click here to view an enlargeable version of these opening times. 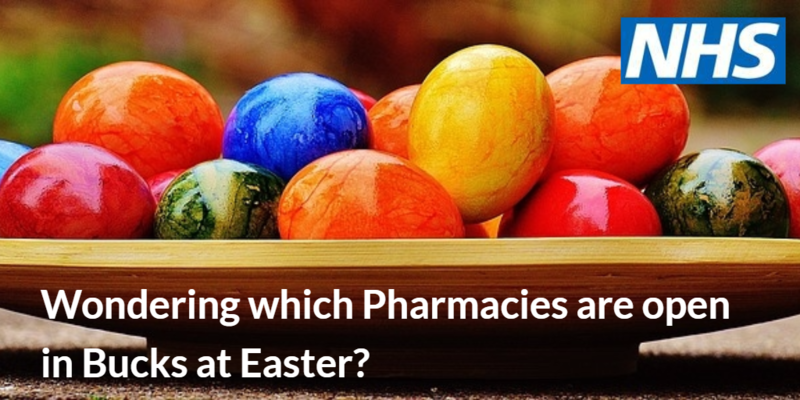 Where possible, please also plan ahead to make sure you get any repeat prescriptions ahead of the Easter break. Also included in the list below are details of pharmacies which plan to be open over the May Bank Holidays (Monday 6 May and Monday 27 May). Please note – pharmacy opening hours on Bank Holidays are voluntary and are, therefore, subject to change. Patients are advised to check if pharmacies are open by telephone before making a journey. You can also use our online Health Help Now service to help you find pharmacies that are open in your area by clicking here. A campaign has been launched by NHS England and Health Education England to raise awareness of the support available for GPs who may wish to return to general practice after time away. Whatever the reason for the break – whether to raise a family, work abroad or in a different profession – the GP Induction and Refresher scheme can provide a route for qualified GPs to join or return to the profession. The I&R scheme, which launched in 2016, is tailored to meet the needs, experience and personal commitments of individuals to make the move simpler for them. This can include financial and practical support and access to a dedicated account manager. Options to complete most parts of the scheme before moving back to England, if you are living overseas. UK-qualified GPs who have been working overseas as a GP for less than 10 years may be eligible for the Portfolio Route, with the option of no assessments and a one-month refresher placement on their return. 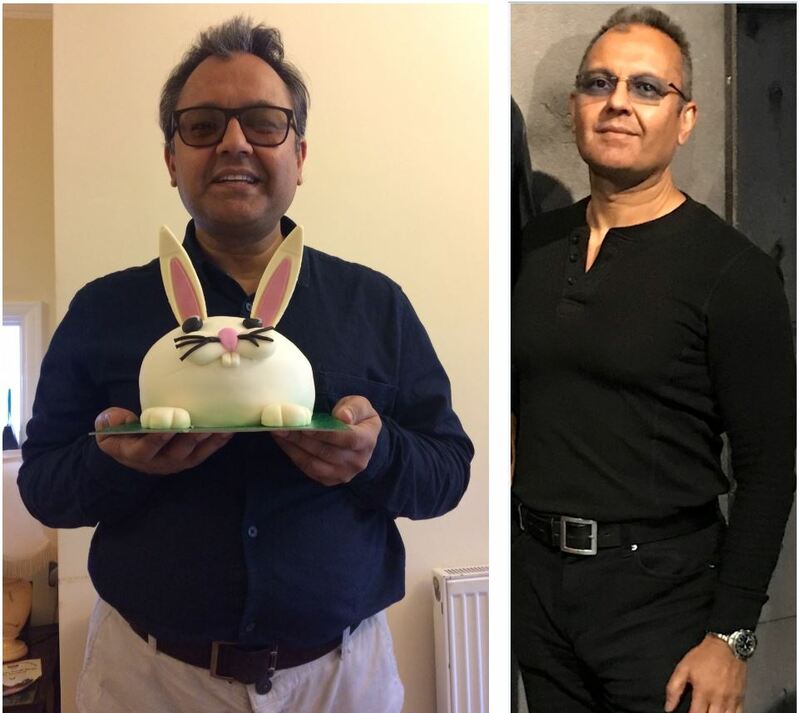 A year ago Buckinghamshire man Harry Matharu was at serious risk of developing Type 2 diabetes – his weight had teetered into the ‘obese’ category and his blood sugar levels were worryingly high. Harry’s GP referred him to the Healthier You NHS Diabetes Prevention Programme (NHS DPP), where he has lost 3 stone 8lbs, dropped three clothes sizes and feels fitter and healthier than he has for years. So much so, that he recently found himself addressing a conference of GPs to tell them the secrets of his success. 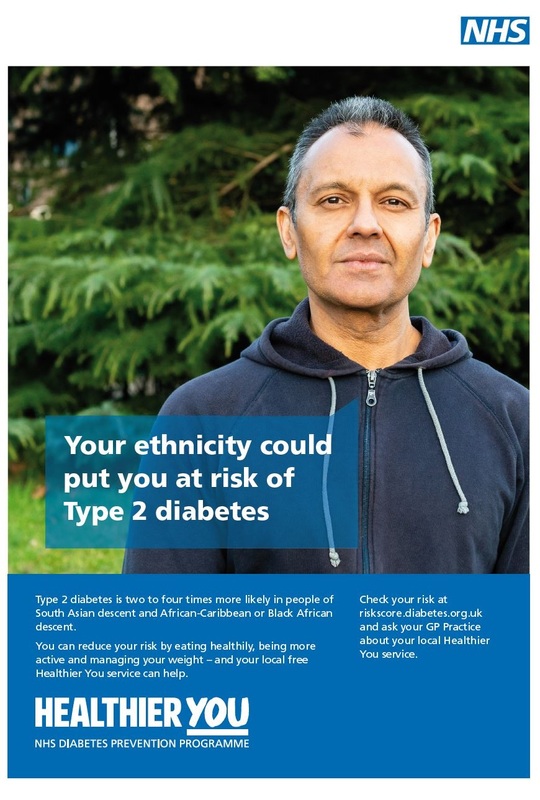 And now, during Type 2 Diabetes Prevention Week (1-7 April), he wants to encourage others to make the lifestyle changes that will help prevent conditions like Type 2 diabetes. This was the kick Harry needed to take action. His GP referred him to the NHS Diabetes Prevention Programme, which Harry agreed to participate in. The programme is run by health services provider Ingeus on behalf of NHS England and encourages healthy changes in behaviour. Harry attended regular meetings in High Wycombe, where he and others learned more about healthy living and motivated each other to make the right lifestyle choices. Harry finished the programme in January. As well as losing an incredible 10 inches from his waist, his lower blood sugar levels mean he is no longer deemed to be at risk of Type 2 diabetes. Harry found the NHS DPP inspiring and informative: “It made me realise, you only have one chance to take care of your body. Now, Harry swims regularly. Whereas once he stayed in the slow lane he now finds himself overtaking teenagers in the fast lane. He added that aches and pains he blamed on age vanished as he got fitter. He said: “It makes sense. I lost 23 kg – that’s the equivalent weight of a six-year-old child. Imagine carrying that wherever you go. It’s no wonder I’ve got the extra energy – it’s a huge reduction in stress on your heart. Type 2 diabetes usually appears in middle-aged or older people, although more frequently is being diagnosed in younger overweight people. It is a leading cause of preventable sight loss in people of working age and is a major contributor to kidney failure, heart attack, and stroke. Maintaining a healthy weight and active lifestyle can help prevent the condition. Dr Kathy Hoffmann, GP and Diabetes Clinical Lead for NHS Buckinghamshire Clinical Commissioning Group, said: “The NHS Diabetes Prevention Programme really makes a positive difference to people’s lives. Harry’s story is an inspiring example of that. It often takes only a few relatively minor changes to your lifestyle to prevent conditions like Type 2 diabetes. Harry’s inspirational success has led him to be featured in NHSE national promotional materials for Diabetes Prevention Week.